Aromatic Summary / Note / Strength of Aroma: A top note with a medium aroma, Sage Essential Oil has a herbaceous scent with strong musty notes. Blends With: Bergamot, Lavender, Lemon, Origanum and Rosemary. Description / Color / Consistency: A thin, clear, pale yellow to greenish yellow liquid. Product Abstract: Salvia officinalis from the Ladiatae family is also known as Garden Sage and True Sage. 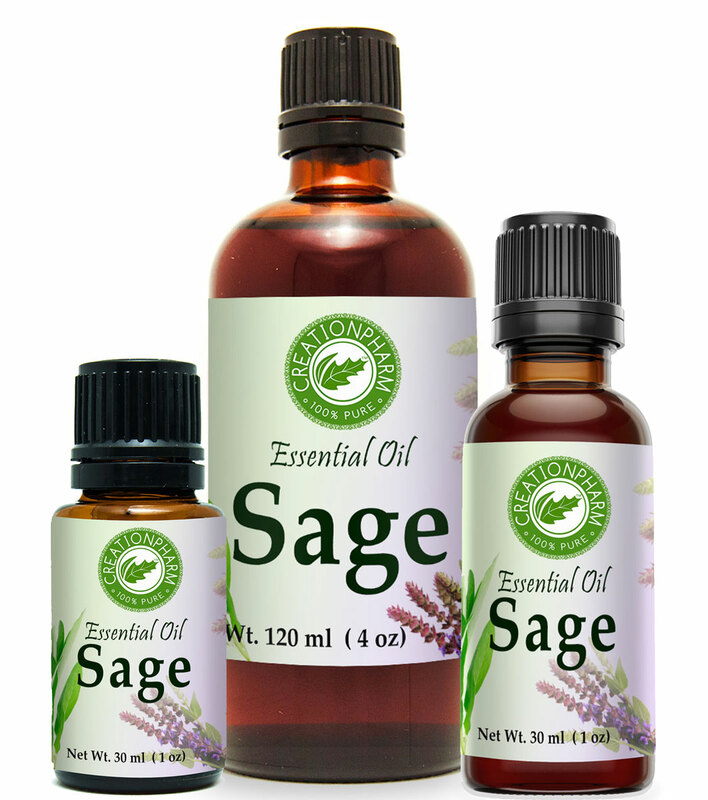 Sage is an evergreen perennial herb with a woody base, soft gray-green oval leaves and a mass of blue or violet flowers that can grow up to about 60 cm tall. The Latin word salvare means 'heal' or 'save’. The ancient Greeks and Romans believed that it imparted wisdom, thus its name; and through the Middle Ages, it continued to be used for memory loss. Cautions: Do not use if under the care of a health practitioner; an oral toxin, this is for external use only. Dilute well before use; may cause skin irritation in some individuals; a skin test is recommended prior to use. Contact with eyes should be avoided.